Virginia Gov. 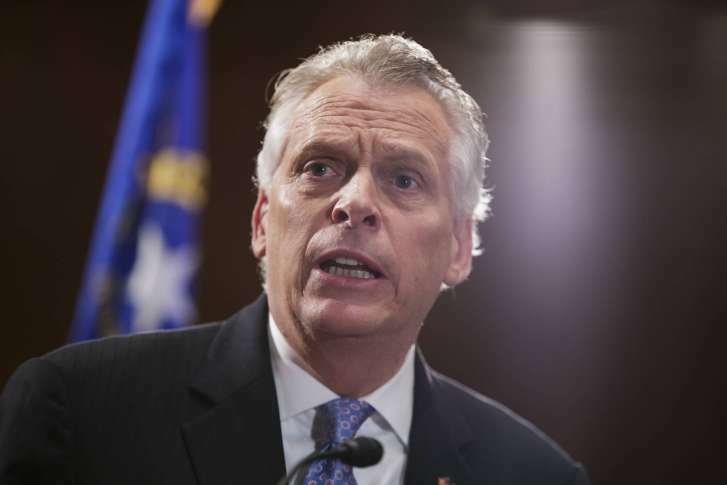 Terry McAuliffe has vetoed legislation prohibiting the release of people from jail if federal immigration officials had requested they be detained. He called the bill unnecessary and anti-immigrant. WASHINGTON — Virginia Gov. Terry McAuliffe has vetoed legislation prohibiting the release of people from jail if federal immigration officials had requested they be detained. He called the bill unnecessary and anti-immigrant. The governor, a Democrat, said Friday that the state’s law enforcement authorities already work closely with federal immigration agencies. “Imposing these requirements on local sheriffs and jail administration really could inject a whole sense of confusion into the relationship, and I would say leads to less effective public safety concerns,” said McAuliffe in an interview with WTOP. It’s the second legislation of its kind by lawmakers who want to see further restrictions on detained immigrants that McAuliffe rejected. The governor, who has been an outspoken critic of Republican President Donald Trump’s early moves on immigration, said Friday that his concerns about the bill have “only increased” since a year ago. “All the anti-immigrant sentiment was just trying to feed into that situation, and I’m not going tolerate it. We’re not going to have people running in fear here in Virginia. We’re going to stand up and fight for individual civil liberties,” McAuliffe said. Lawmakers can try and undo the governor’s vetoes next month, but Republicans have not been able to undo any of McAuliffe’s vetoes so far. Gov. Terry McAulliffe said he’ll look to finalize federal laws and won’t keep immigrants in Commonwealth jails without direction of federal resources.